MILO® PLAY MORE, LEARN MORE® campaign – footsteps……..
Everytime when there is a sports function, one will hardly miss the most common sight of a green Milo van distributing FREE Milo drinks. Children especially will be much more than happy to line up and get a cup of Cold nutritiousness Milo Drinks and might go back to the end of the line for another cuppa. But even adults will not shy away from the green Milo van. Milo and Sports has been very synonymous and been growing together with Malaysian sports and during major sporting events, we can see Milo banners and people wearing T’s bearing Milo motifs at most places. Sports is lifelong activities and is one of the best enhancer towards a healthy body and mind. We use to hear about a Healthy Mind is in a Healhty Body and the proverb All Study and No Play makes Jack Dull boy. 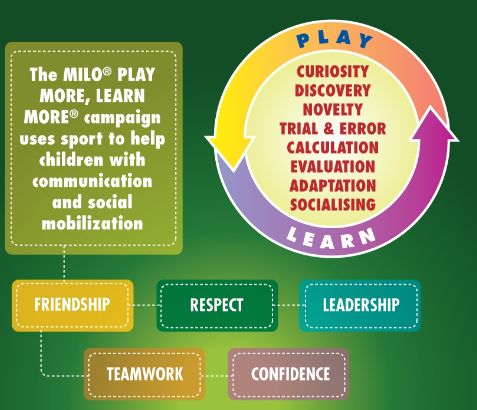 Since sports is a lifelong activity, Milo that has been growing with sports embarks on a mission to instill Learning Life’s Lessons Through Sports through their program MILO® PLAY MORE, LEARN MORE® campaign. Nestle Milo’s initiative here is to inculcate sports participation among children which has been deteriorating lately. The pressure for Malaysian children to succeed academically is greater today than ever, and in the process, play time for sports is being pushed aside. In a society obsessed with academic achievement, parents and caregivers equate success solely to academics at the exclusion of play time for sports. What parents and caregivers should understand is that, involvement in sports can play a major role in the physical, social and emotional aspect of a child’s growing process. Great sportsmen begins at childhood stage. 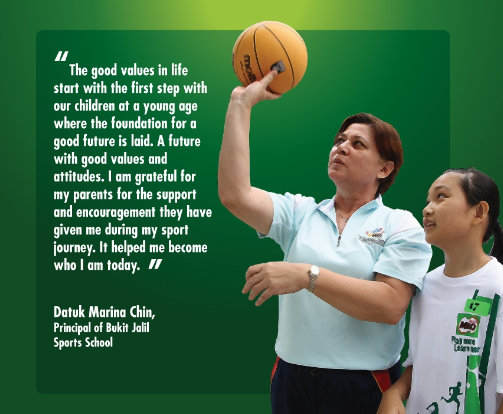 Datuk Marina was once our track Queen in the 70s and no women has yet to come close to her achievement on the track. The only other women in Malaysian sports is Pn Hjh Zaiton Othman who is with National Sports Council. How does the MPML philosophy works? Identifying the very need of sports in every child’s life, Nestlé MILO® has been advocating sports among children through the MILO® PLAY MORE, LEARN MORE® campaign since 2009 and continues to play an active role in the grassroots level to promote play time for sports among children. It is hopes that the MILO® PLAY MORE, LEARN MORE® campaign will help educate mothers on the importance of sports for children. 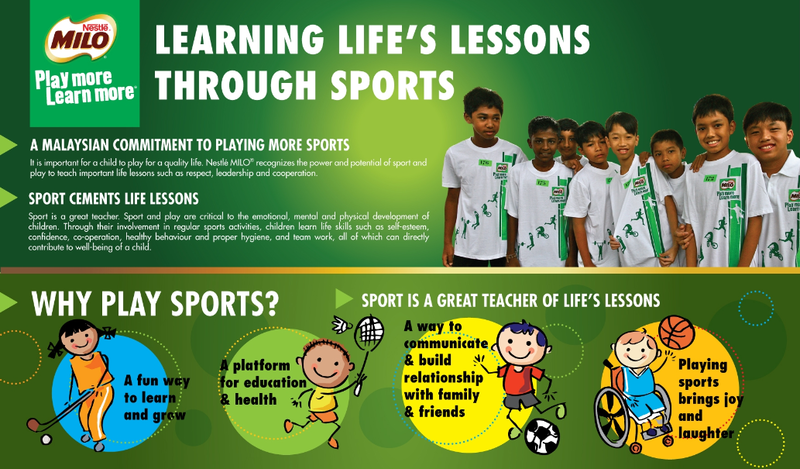 You too can help promote Malaysia grow more sportsmen of the future by getting our children involve in sports. Are we satisfied only some world class sports men such Dato’ Lee Chong Wei, Nicol Ann David, Azizul Hasni Awang or Pandalela Rinong just to name a few. You can download the infographic from this link and click the rectanglular box as shown below. Note: Please do not click the other download radio button because they are only advertisements and you do not want to end up spending your credit with unwanted subscriptions. Next Post Bila Mop Jatuh Dari Langit?